After what seems like an extra-long, cold winter here in Melbourne, it’s just about time to come out of hibernation – and what better way to warm up than with a festival? Fair@Square festival*, to be precise. 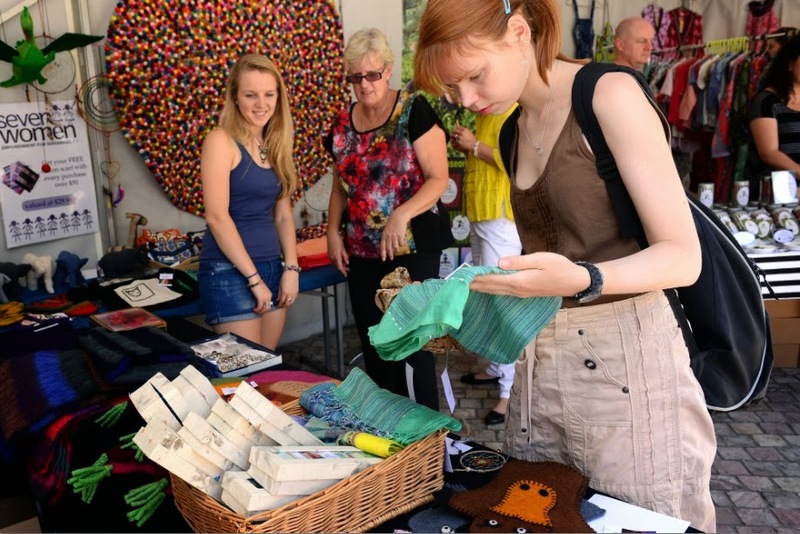 Held at Federation Square over two days this weekend (November 30 and December 1), it’s a celebration of all things ethical, sustainable, recycled, fair trade, eco… basically, if it’s good for people and planet, it’s there! I look forward to this festival every year – it’s got a market that’s great for Christmas shopping, stocking up on products that aren’t necessarily so easy to find in big retail outlets and discovering new brands and services that tread lightly on the earth or are even improving it. There’s a program of inspirational speakers and workshops, live music and performances, plus yummy food to snack on as you wander… but take a look at the program for yourself to see what I mean. Hopefully I’ll see you there!